The lounge and sitting room has two sitting areas. Bose surround sound system, large flat screen TV and DVD, iPod dock station, gas heater and ceiling fans. 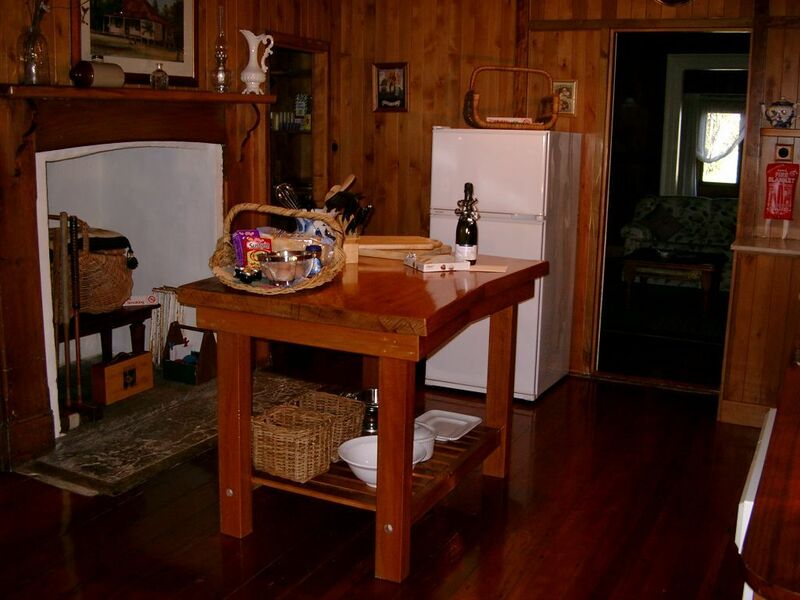 Fully equipped kitchen including microwave, gas oven and cook top, dishwasher, large country style table chairs. Walk-in pantry. 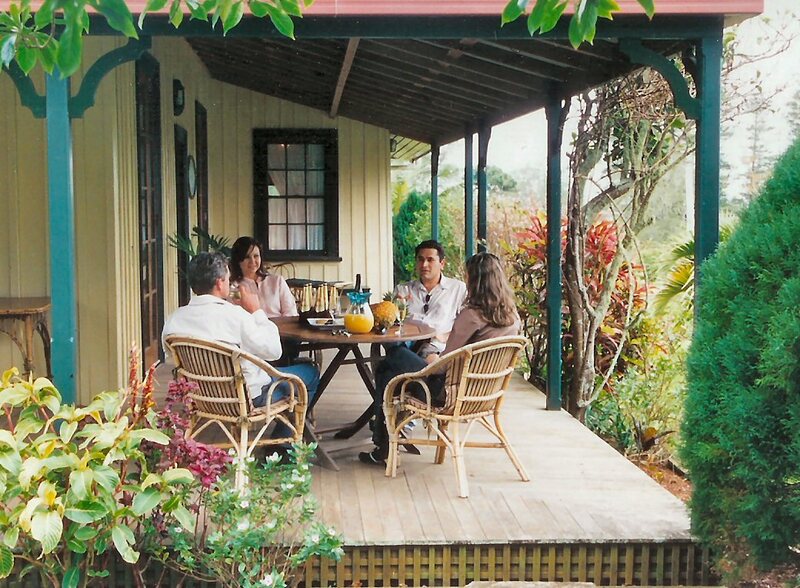 A beautiful deep verandah extends almost the full length of two sides of the cottage overlooking the Pacific Ocean. An ideal spot for meals or a late afternoon drink. There are three separate and private bedrooms. 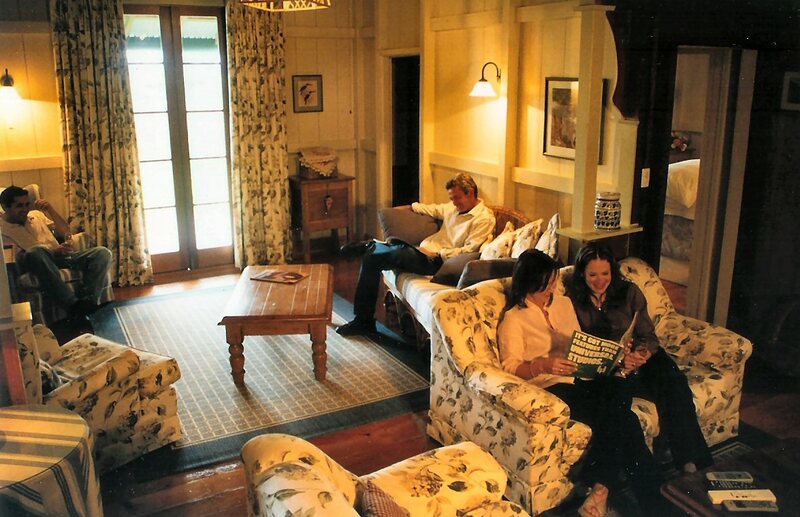 These include a spacious Queen size room with en-suite overlooking the orchard, a large King size room overlooking Ball Bay and the Ocean (the King bed can be split into two King singles if required) and a smallerÂ Kingbed room with original furniture and French doors opening onto the verandah with views over Ball Bay and the Pacific Ocean. 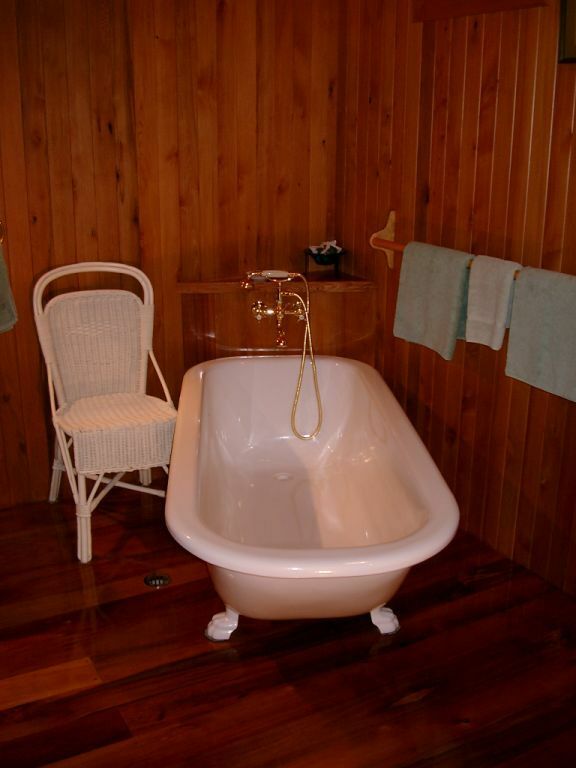 Whilst the cottage is comfortable for six guests, it is also very cosy and romantic for two. Other rooms include a shower room, separate WC, fully equipped laundry, office with IDD phone, fax, computer and internet wifi hotspot, books, games and desk and a back balcony with gas BBQ and outdoor furniture.